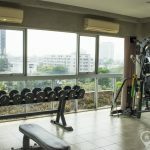 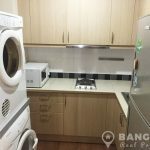 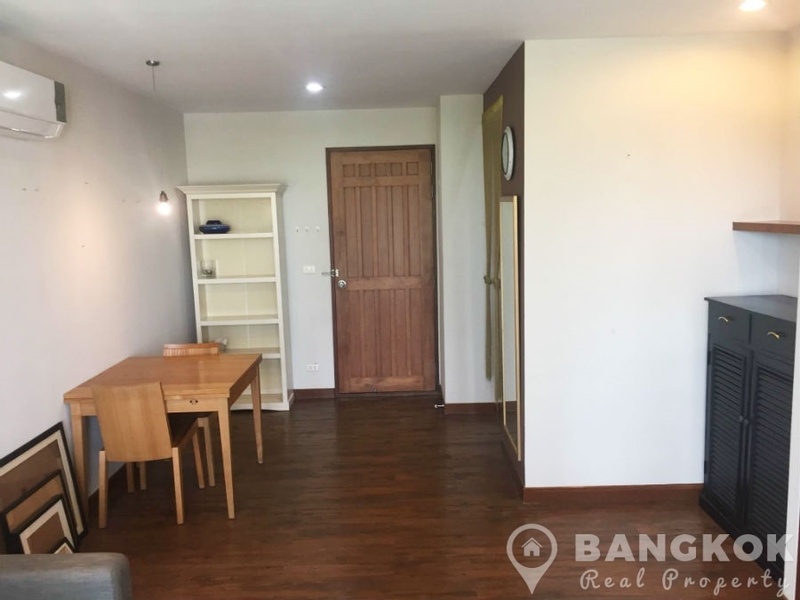 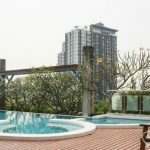 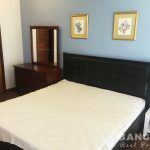 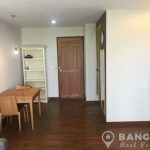 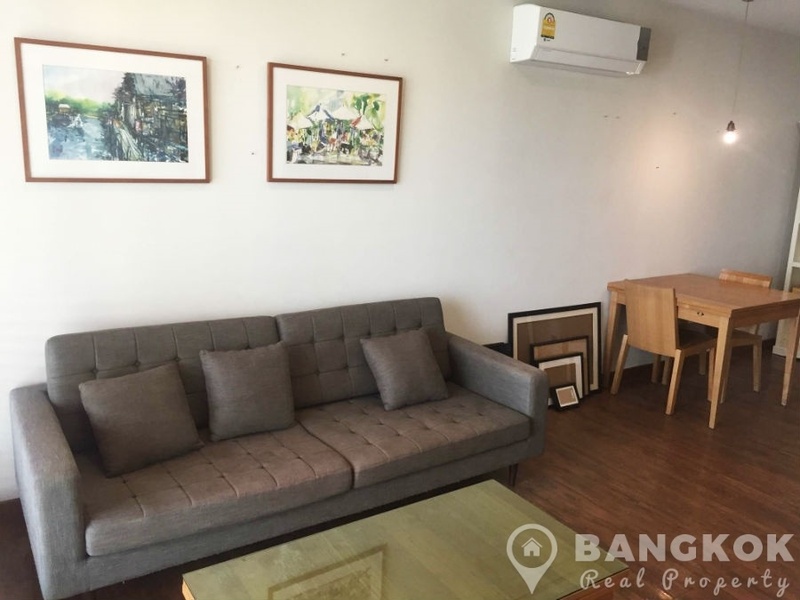 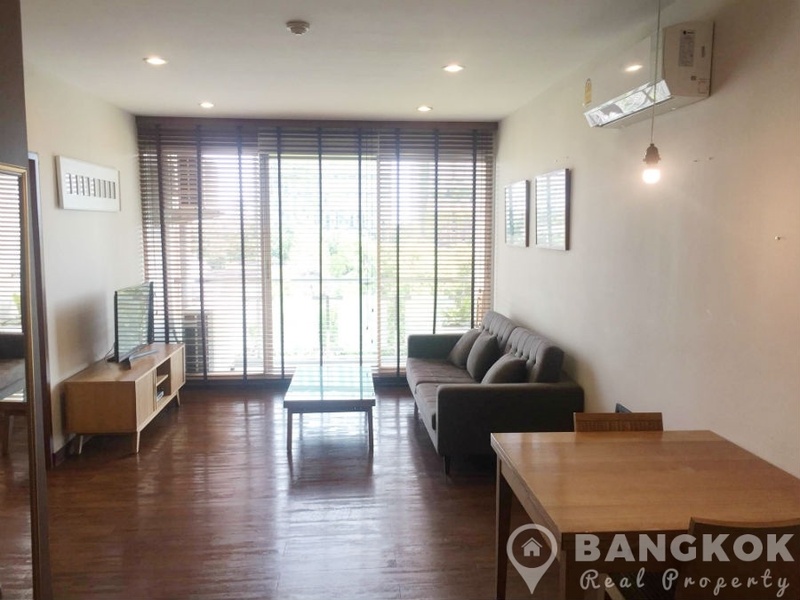 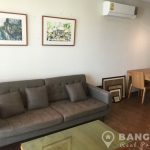 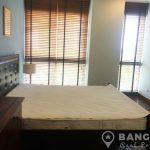 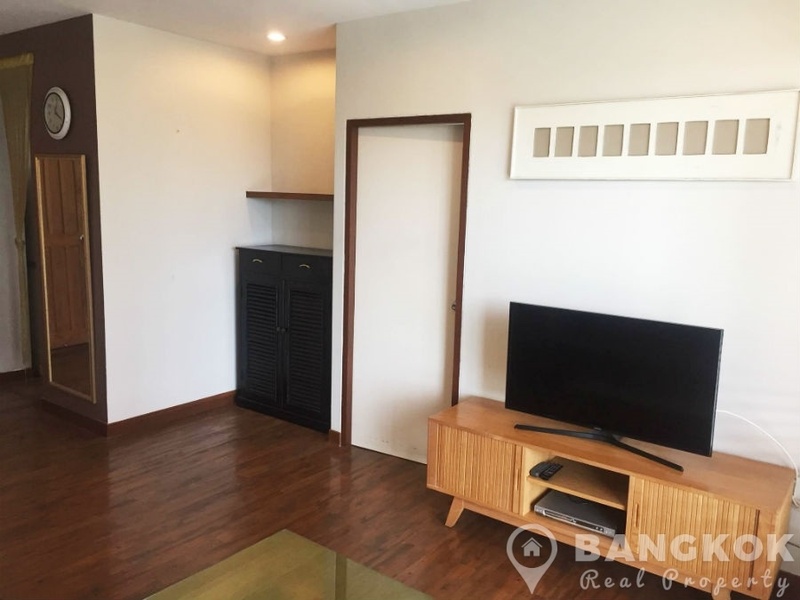 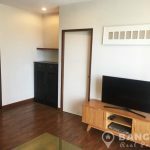 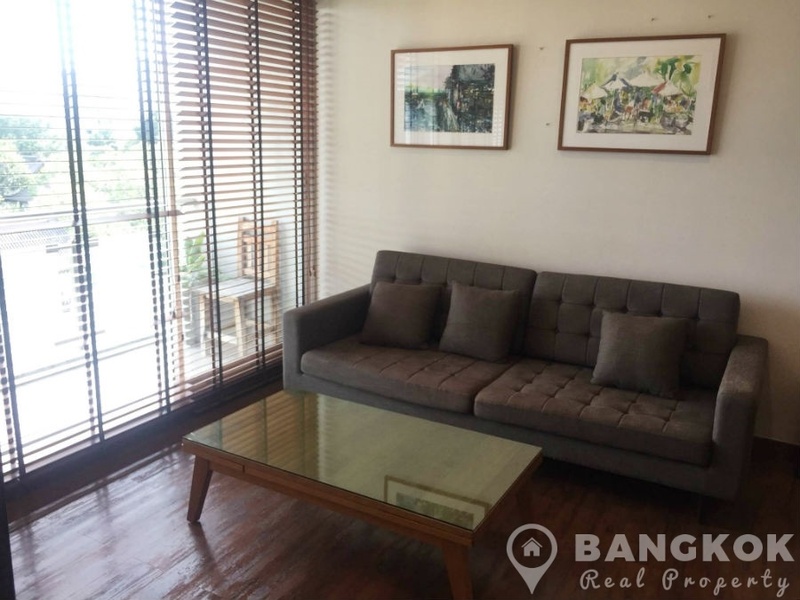 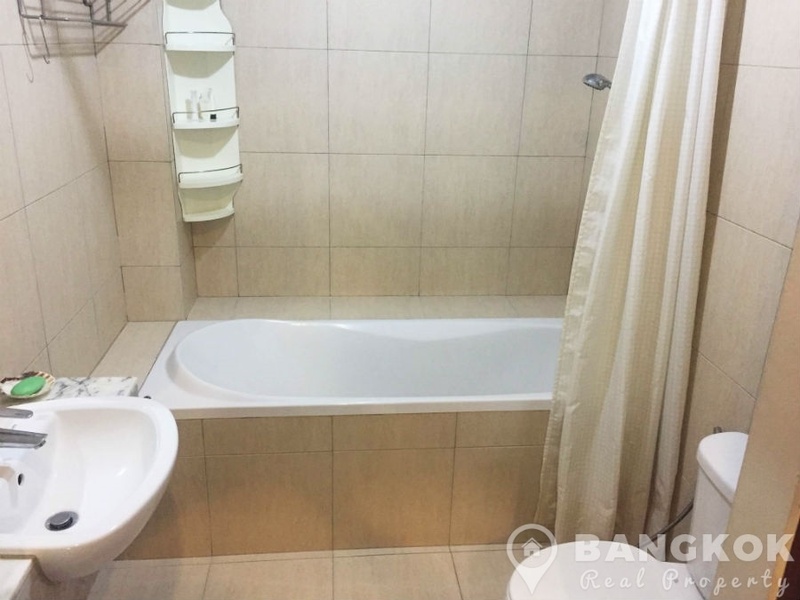 A bright, spacious, 1 bedroom condo is available to rent at Von Napa Sukhumvit 38, superbly located in the heart of Sukhumvit’s Thonglor just off Sukhumvit 38 and just 2 minutes walk (170 metres) from Thong Lo BTS station. 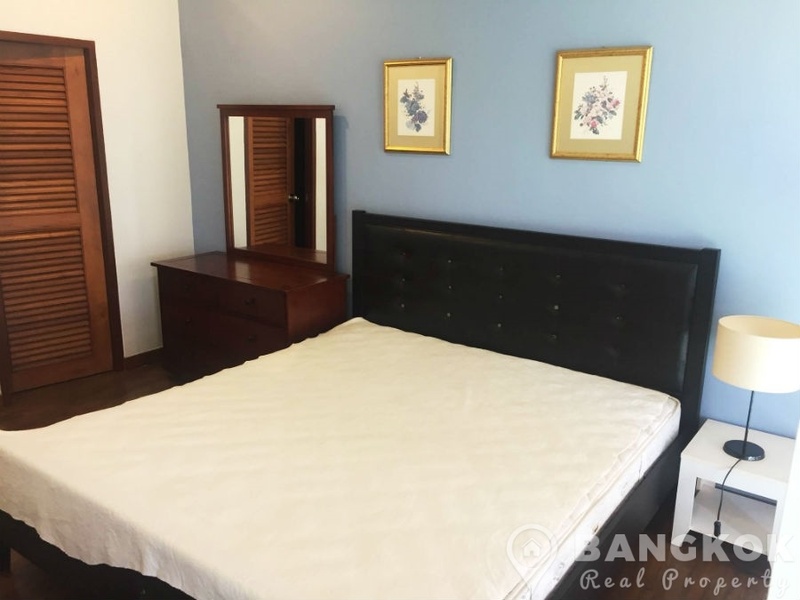 This popular low rise development built in 2008 is within easy reach of many of Sukhumvit’s great amenities including The EM District (EmQuartier + The Emporium), Major Cineplex, Gateway Mall, Benchasiri Park and several top international schools including The American School of Bangkok– City Campus. 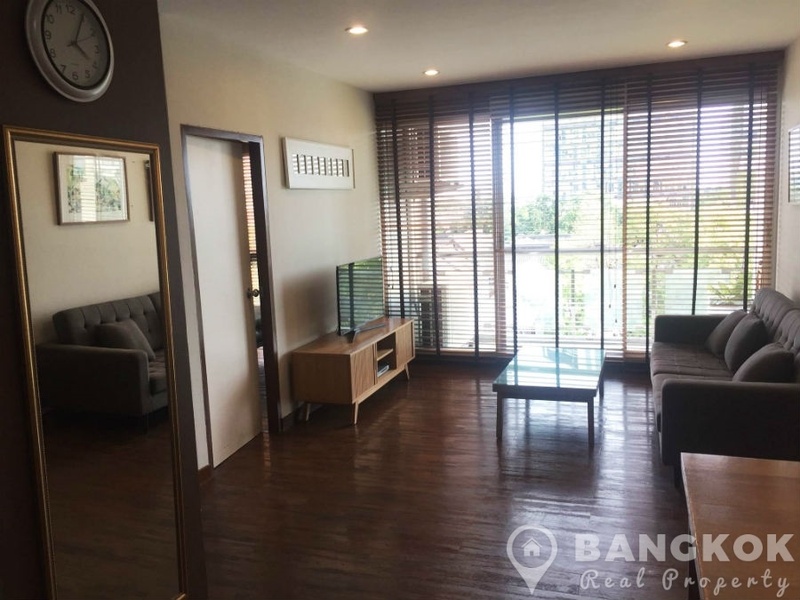 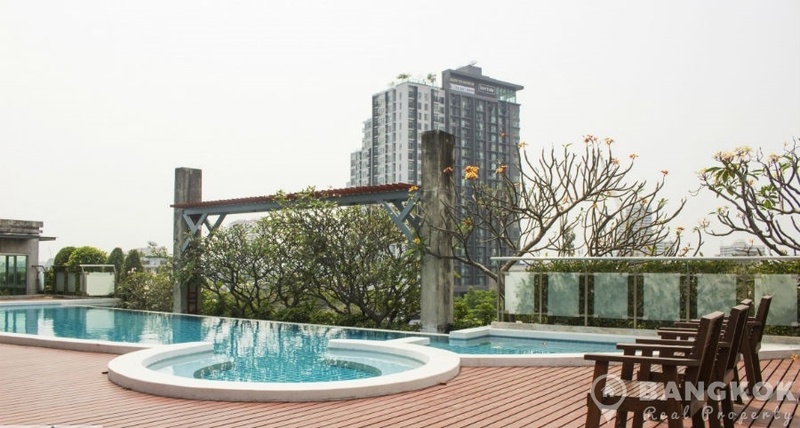 Situated on a high floor of Von Napa Sukhumvit 38, this modern condo has 1 double bedroom, 1 modern bathroom and 52 sq.m of living space with a large balcony with lovely garden views over Thonglor (away from all the noise). 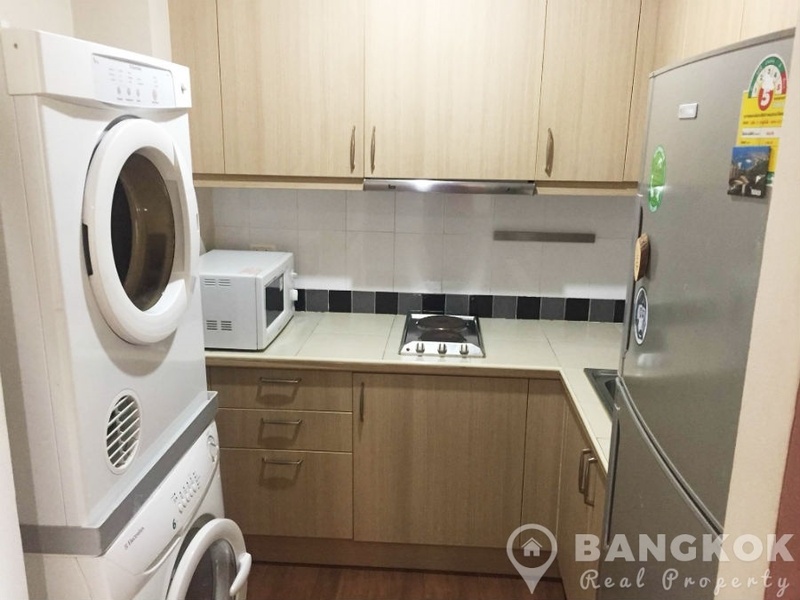 The large living-dining room has large floor to ceiling sliding patio doors to the balcony, separate kitchen with modern built in units, built in electric hob & extractor fan, washing machine, separate dryer, fridge freezer and microwave. 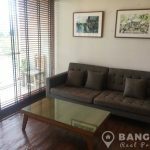 There are hardwood floors throughout, the windows all have attractive wooden window blinds. 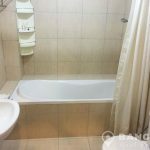 The large double bedroom has good storage and there is an ensuite bathroom with bathtub and electric power shower. 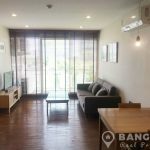 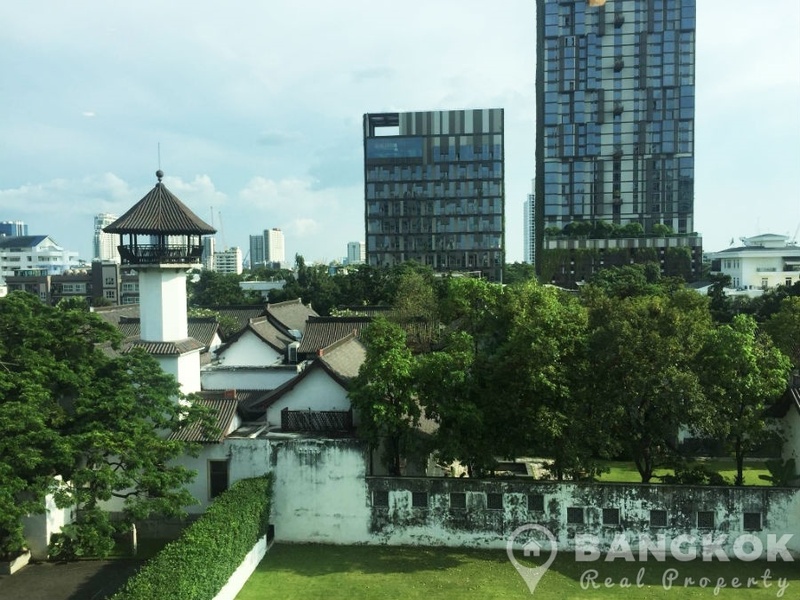 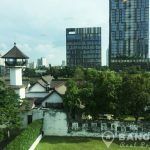 Von Napa Sukhumvit 38 is a condominium project located on Sukhumvit Soi 38 within 5 minutes walk of Thong Lo BTS station. 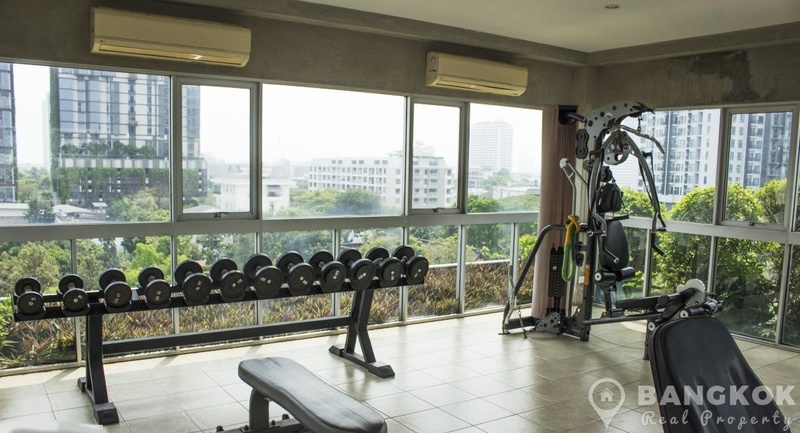 Completed in 2008, Von Napa Sukhumvit 38 is a low rise development consisting of a single building with 8 floors with a total of 76 , 1 and 2 bedroom units.